There are pools. And then there are pooooooools. 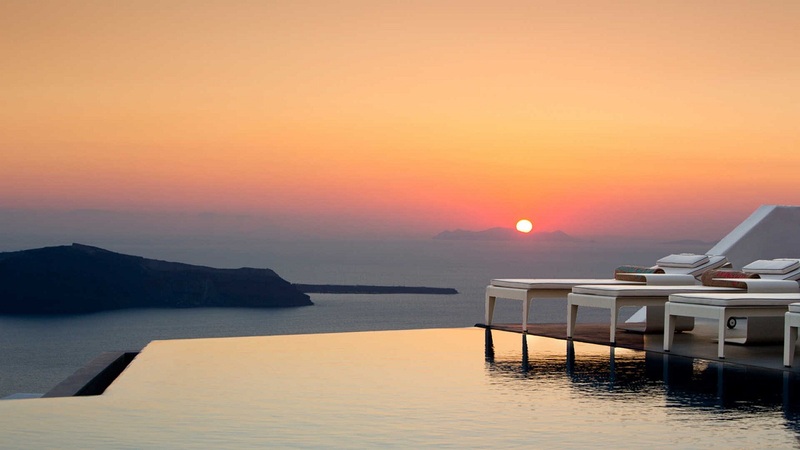 Yes, we are talking about the infinity pools that are destinations by themselves. These pools are man-made and often are near oceans, seas, lakes, or forests, thereby giving an illusion of infinity. Go dive and swim in 10 of the world’s best infinity pools, from the largest rooftop pool in Singapore to the jungle pool that has been carved into a Balinese cliff. 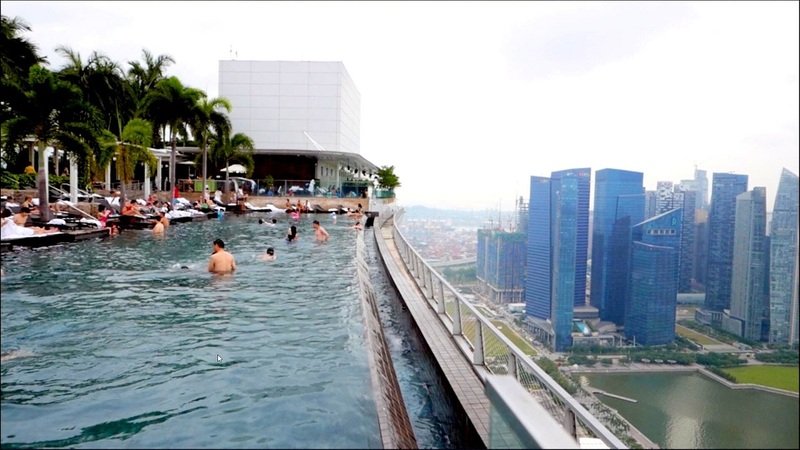 The pool is 57 stories above Singapore. However, the pool is accessible only if you are a guest at the hotel. 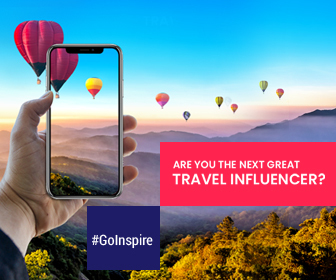 But we say, it’s worth that – the view, the experience, and not to forget a story that your Insta feed would be proud of. Do you think this is brushed up on Photoshop? Let us burst your bubble, this is not. 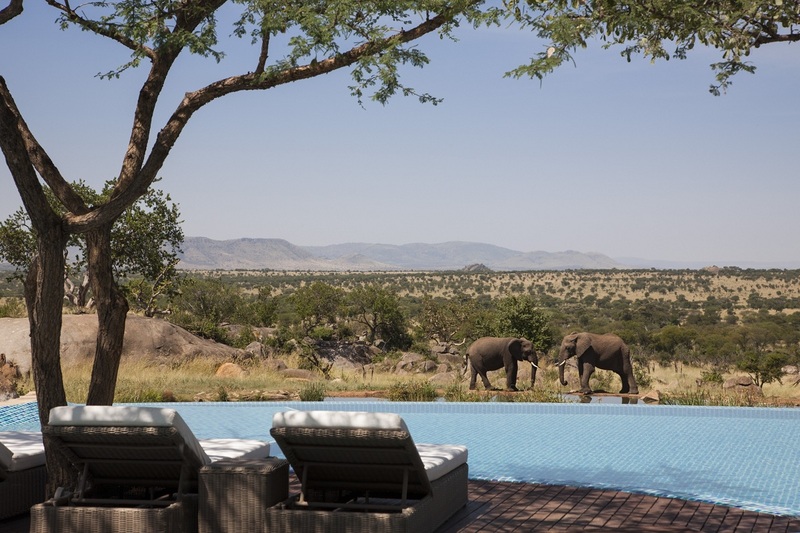 This pool is in the heart of Tanzania’s wildlife-dense Serengeti National Park. As you relax in the pool, you watch herds of wild elephants, giraffes, zebras, and other greats of the animal kingdom pass by. That’s something you would definitely remember. 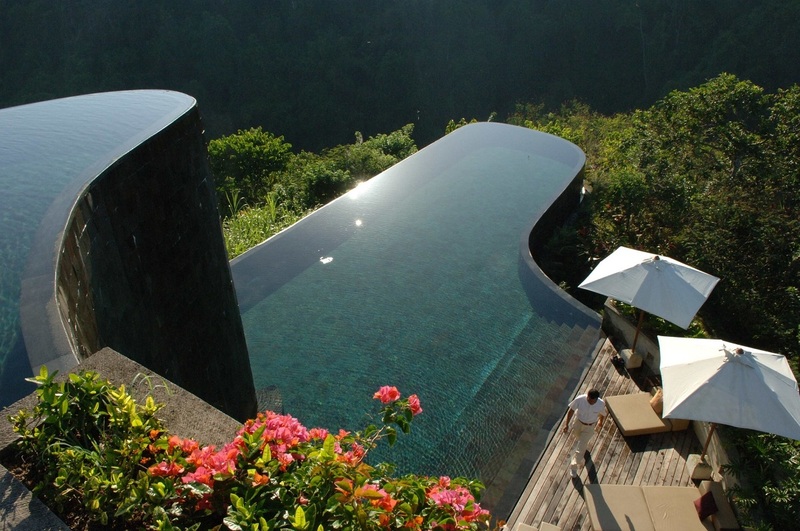 Two levels of infinity pool in Bali is what travel desires are made of. Also, just so you know, this infinity pool is the most photographed in the world. 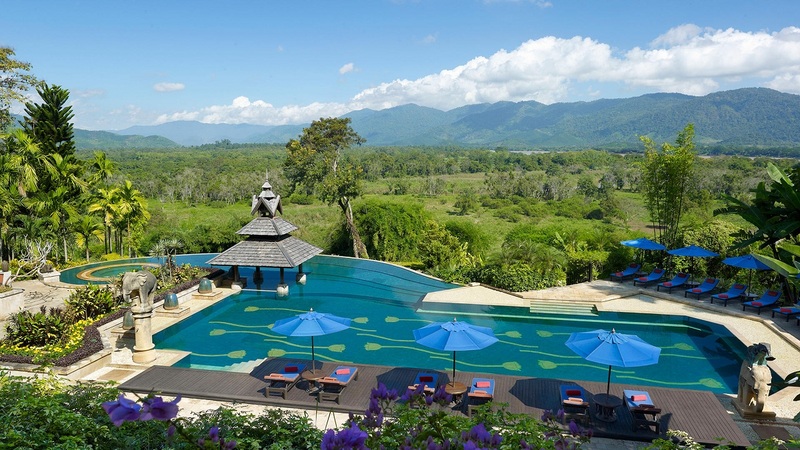 Swim to extreme edge of the pool and lose yourself in the sights and sounds of the forest. 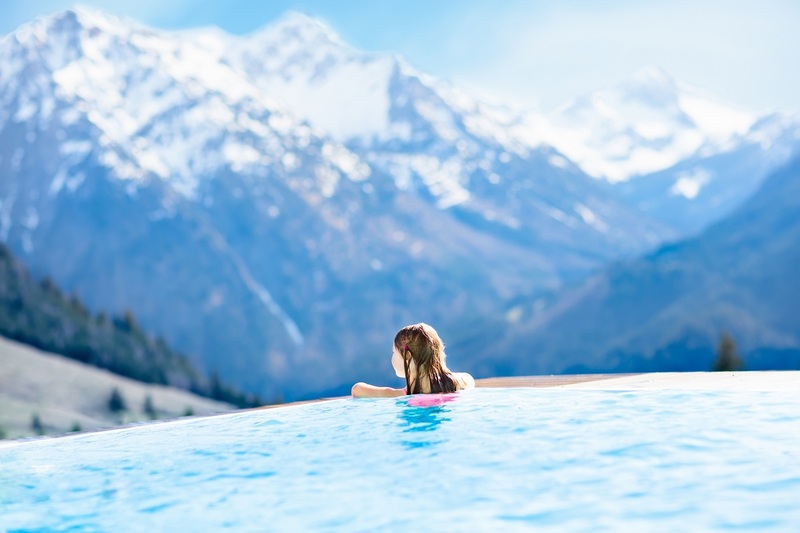 This outdoor thermal pool offers attractive and catchy views of the snow-capped mountains and rolling valley down below. The sleek modern design and world-class spa with ritzy Après Ski scene is obsessive. 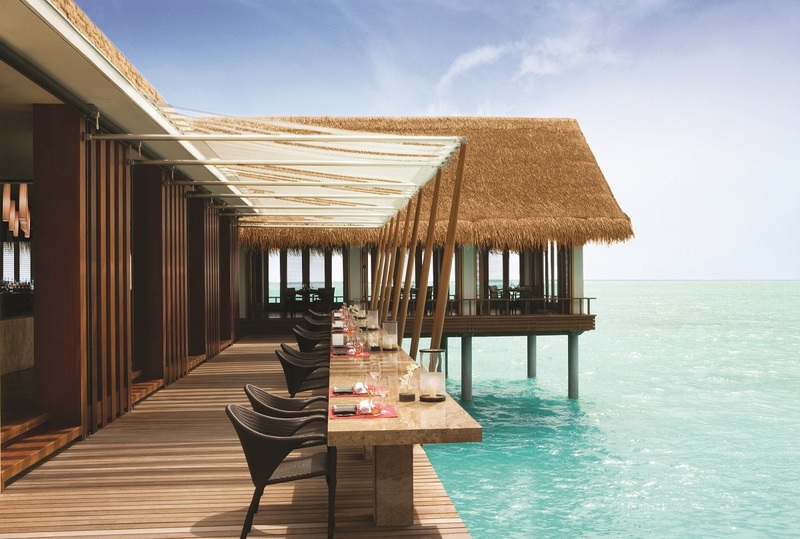 Maldives is mesmerizing but what is more captivating is The “Serenity” lap pool adjacent to Reethi Beach. The 100-foot pool has an internal Jacuzzi tub and a carved stone bed at the edges. Watch as the mega-yachts pass by while you sip on some exquisite drink or sip a hot coffee. P.S: This pool is for adults only. 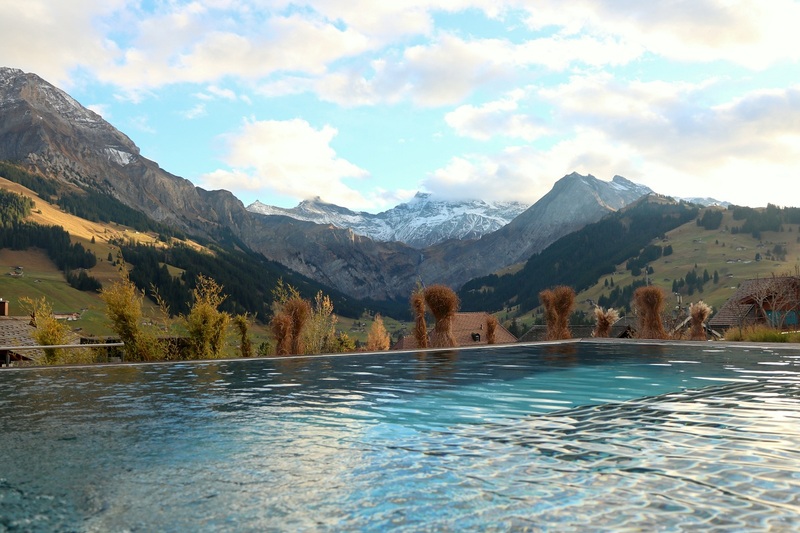 The location, the view, and the amenities –everything is game on at this sprawling infinity pool. Located on the crossroads of the Mekong Valley, a dive here would bring you closer to three countries: Thailand, Myanmar, and Laos. P.S: Pack your binoculars and you might be lucky to see elephants roaming in the wilderness below in the forests. 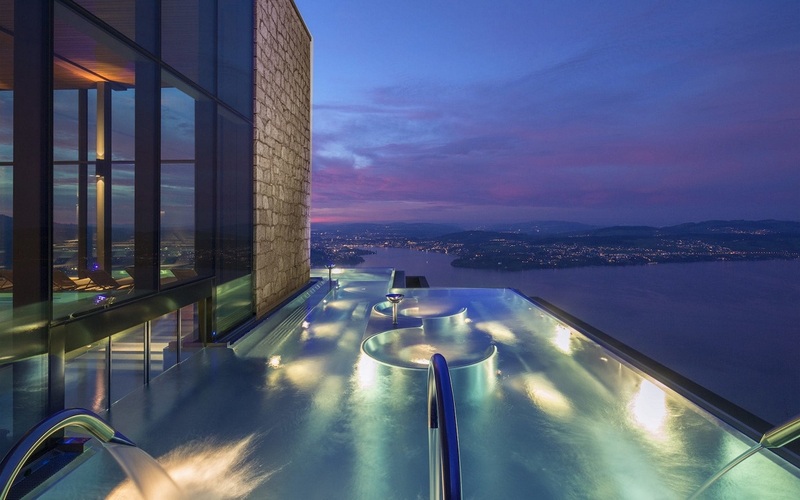 The sky-high infinity pool on the 52nd floor is what makes Shangri-La hotel the coveted one. By the way perfect your butterfly stroke to get an excellent view of St. Paul’s Cathedral and the city skyline. 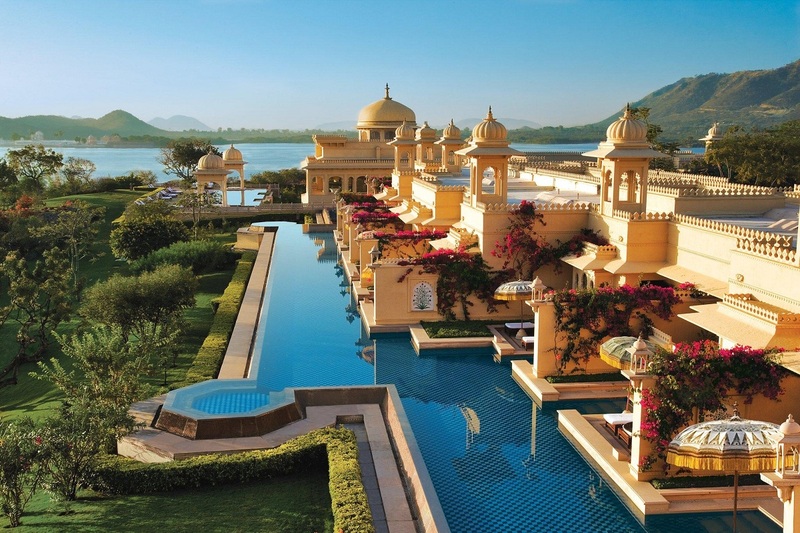 History and tradition and then there’s this infinity pool – The Oberoi Udaivilas makes an impression that is hard to pass by. The golden stone palace has a sprawling central pool which has sharp black granite and white marble squared edges and this is what underscores the property’s excellence in opulence. The story doesn’t stop there, the property has private plunge pools for each of its suite. 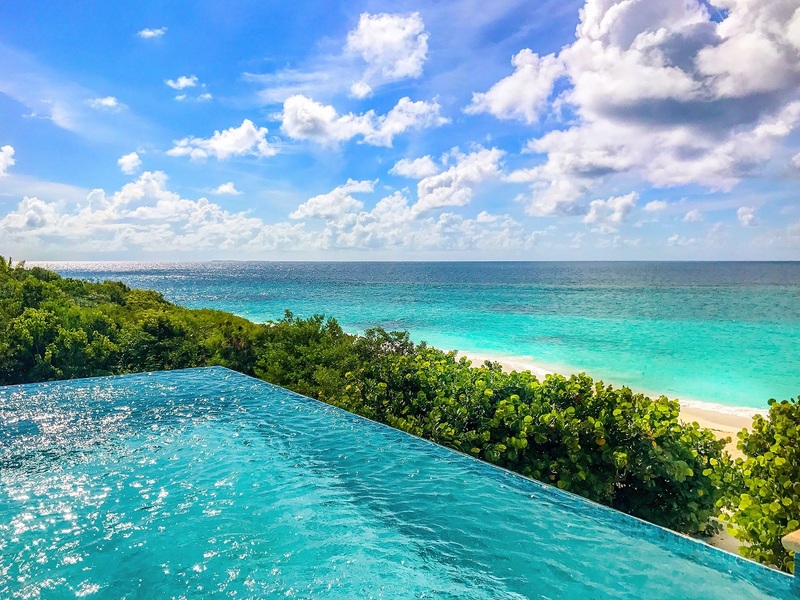 One glance and you may think that the pool at Zemi Beach House joins the aqua waters of Shoal Bay East at one end. But no, it’s just the optical illusion which is created by the glass wall at the far end of the geometric Jacuzzi.